SPECS: Steel, blued. Models available for the calibers listed below. When I received the extractor it took me more time to get it out of the packaging than it did to remove the stuck case, WOW... ten seconds maybe and done. Out of the box: 1. The base was to big to fit in the broken case. 2. The neck only expeanded to .313 not big enough to work. Modified diameter of base. Modified taper so the neck could expand to more than .313. Added spacer. Used 1/4 inch brass rod to push from inside so it would expand. As with Mark, required the addition/manufacture of a spacer to engage the extractor in the cartridge. A simple thing that should have been done by the manufacturer. Used this to extract a shell that was stuck in an Enfield rifle I inherited from my dad. I donât remember shooting the rifle when I was a kid so the shell had likely been in there for 40 years. Took maybe 30 seconds and it saved me a trip to the gunsmith. An inexpensive insurance policy - I have a K98, an M1, an AR15 and soon to getting an M1A, so I shoot a lot of military surplus ammo because it is cheaper. I always check ammo for deformities before shooting and I've never had an issue with bad cartridges (even though some of it is 50-60 years old) but I attribute that to the fact I keep a broken shell extractor for each caliber in my range bag. I do remember while on active duty a few times on rifle and machine gun ranges when the extractors were worth their weight in gold. I never needed this tool before. I had a 300wm shell separate in the chamber of my Encore barrel. I tried using a over size cleaning bush to remove it to no avail. After searching for solutions I found this tool. When it arrived it took two minutes to remove the stuck case. That was 1 minute open the package and 1 minute using the tool. Could not have been easier. Well, I had a UTG broken shell and it didn't work so I ordered this one and man, what a difference!! the stuck broken shell came easily!! I ordered another one for my .223 and while I sure hope I'll never have to use it, now I feel confident that if I ever need it, C. J. WEAPONS ACC.will deliver! Took about 2 minutes to unpack it from its mailing box and about 30 seconds to remove a broken shell from my Garand. Perfect piece of work. 303 British Broken Shell Extractor Don’t let case head separation put an end to your day at the range or in the field. Simple, reliable tool quickly and easily removes a stuck case from the chamber. Make sure gun is unloaded, then insert the shell extractor in the chamber and close the action, just like you’re loading another round. The back of the tool takes the place of the missing case head, while the springy steel fingers slide through the case neck and expand to positively grab the case mouth. Manually work the action to extract the broken shell and the tool. Carry one in your pocket when shooting as cheap insurance against having your range day or hunt cut short. Fits ONLY the specified caliber. 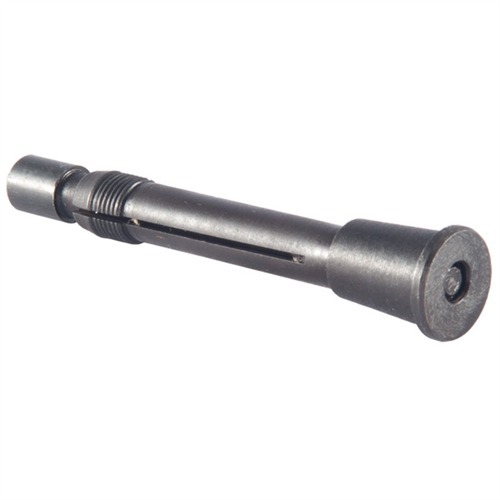 .30-06 Broken Shell Extractor Don’t let case head separation put an end to your day at the range or in the field. Simple, reliable tool quickly and easily removes a stuck case from the chamber. Make sure gun is unloaded, then insert the shell extractor in the chamber and close the action, just like you’re loading another round. The back of the tool takes the place of the missing case head, while the springy steel fingers slide through the case neck and expand to positively grab the case mouth. Manually work the action to extract the broken shell and the tool. Carry one in your pocket when shooting as cheap insurance against having your range day or hunt cut short. Fits ONLY the specified caliber. 7.62 x 39 Broken Shell Extractor Don’t let case head separation put an end to your day at the range or in the field. Simple, reliable tool quickly and easily removes a stuck case from the chamber. Make sure gun is unloaded, then insert the shell extractor in the chamber and close the action, just like you’re loading another round. The back of the tool takes the place of the missing case head, while the springy steel fingers slide through the case neck and expand to positively grab the case mouth. Manually work the action to extract the broken shell and the tool. Carry one in your pocket when shooting as cheap insurance against having your range day or hunt cut short. Fits ONLY the specified caliber. 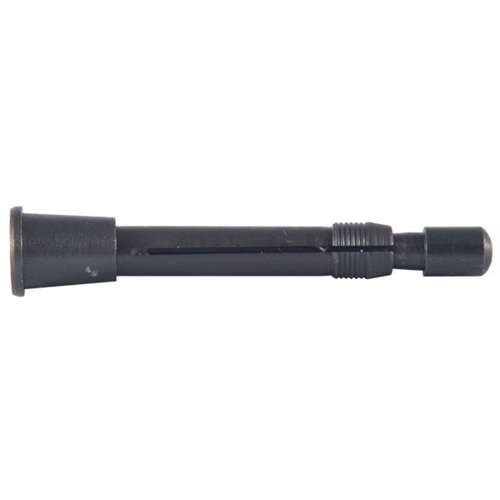 7.62 x 54R Broken Shell Extractor Don’t let case head separation put an end to your day at the range or in the field. Simple, reliable tool quickly and easily removes a stuck case from the chamber. Make sure gun is unloaded, then insert the shell extractor in the chamber and close the action, just like you’re loading another round. The back of the tool takes the place of the missing case head, while the springy steel fingers slide through the case neck and expand to positively grab the case mouth. Manually work the action to extract the broken shell and the tool. Carry one in your pocket when shooting as cheap insurance against having your range day or hunt cut short. Fits ONLY the specified caliber. .300 Win. Mag. Broken Shell Extractor Don’t let case head separation put an end to your day at the range or in the field. Simple, reliable tool quickly and easily removes a stuck case from the chamber. Make sure gun is unloaded, then insert the shell extractor in the chamber and close the action, just like you’re loading another round. The back of the tool takes the place of the missing case head, while the springy steel fingers slide through the case neck and expand to positively grab the case mouth. Manually work the action to extract the broken shell and the tool. Carry one in your pocket when shooting as cheap insurance against having your range day or hunt cut short. Fits ONLY the specified caliber. 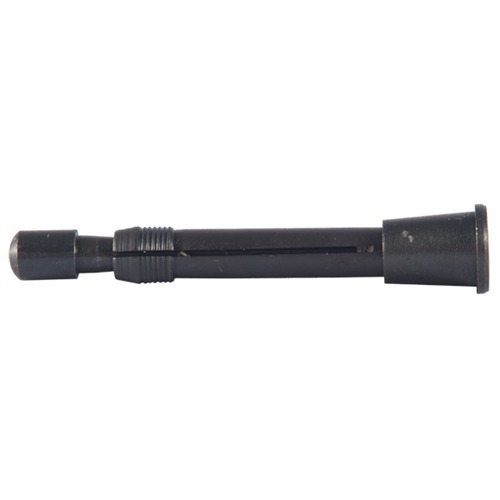 8mm Mauser Broken Shell Extractor Don’t let case head separation put an end to your day at the range or in the field. Simple, reliable tool quickly and easily removes a stuck case from the chamber. Make sure gun is unloaded, then insert the shell extractor in the chamber and close the action, just like you’re loading another round. The back of the tool takes the place of the missing case head, while the springy steel fingers slide through the case neck and expand to positively grab the case mouth. Manually work the action to extract the broken shell and the tool. Carry one in your pocket when shooting as cheap insurance against having your range day or hunt cut short. Fits ONLY the specified caliber. 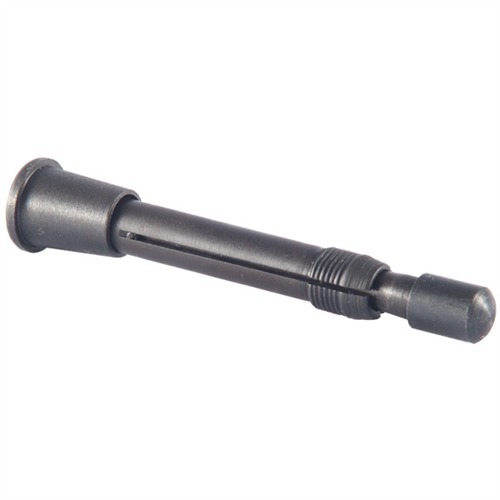 .223/5.56mm Broken Shell Extractor Don’t let case head separation put an end to your day at the range or in the field. Simple, reliable tool quickly and easily removes a stuck case from the chamber. Make sure gun is unloaded, then insert the shell extractor in the chamber and close the action, just like you’re loading another round. The back of the tool takes the place of the missing case head, while the springy steel fingers slide through the case neck and expand to positively grab the case mouth. Manually work the action to extract the broken shell and the tool. Carry one in your pocket when shooting as cheap insurance against having your range day or hunt cut short. Fits ONLY the specified caliber. .30 Carbine Broken Shell Extractor Don’t let case head separation put an end to your day at the range or in the field. Simple, reliable tool quickly and easily removes a stuck case from the chamber. Make sure gun is unloaded, then insert the shell extractor in the chamber and close the action, just like you’re loading another round. The back of the tool takes the place of the missing case head, while the springy steel fingers slide through the case neck and expand to positively grab the case mouth. Manually work the action to extract the broken shell and the tool. Carry one in your pocket when shooting as cheap insurance against having your range day or hunt cut short. Fits ONLY the specified caliber.